Although not exclusively set in the winter months, there's an essence of the season throughout the entire film, from the movie's dramatic opening scenes of the Romanov family escaping the palace in the snow, to the first time we see adult Anastasia leaving her orphanage for the first time to the dramatic train crash scene. That and the film's main song is called 'Once Upon A December' - a haunting lullaby that easily conjures mysterious images of ice and snow. The animated background of a snow-covered Russia are breathtaking; elegant yet powerful, you really feel the bitter cold and yet the lightly falling snow helps maintain a sense of magic and whimsy. Beautiful. 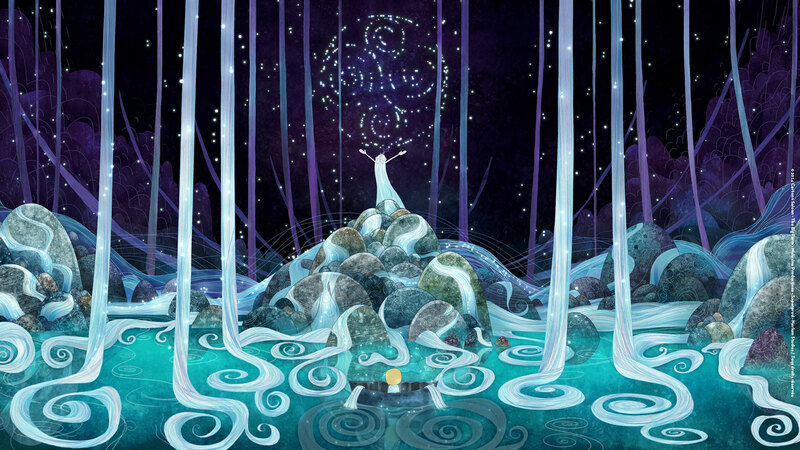 With a watercolour palette of blues, white and purples and a twinkly haunting musical motif that whispers its way through the entire narrative, Song of the Sea uses its wintery backdrop as a frame for the magic at the centre of its storyline (for is there a more magical month than winter? I think not!) The ice and snow and cold of the landscapes is reflected perfectly in its soundtrack and every single frame of the movie looks like some kind of avant-garde Christmas card. As an animation fan, nothing impresses me more than something like The Snowman, where you can literally see every scratch of the pencil on paper. The almost crude movements and cloudy blurred edges of the colour on the pages conjures both the image of a snowstorm and that of a dream. 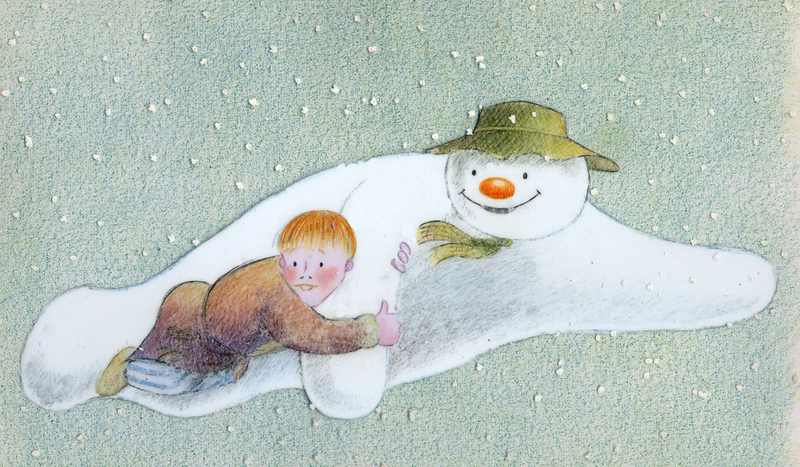 Of course the theme of gift-giving and the inclusion of Father Christmas push this into Christmas territory, but until then The Snowman could be taken as a love letter to the winter season, especially for us Brits who experience only a flutter of snow every year for a moment before it's going again, reflected in the devastating ending of this perfect animated short. 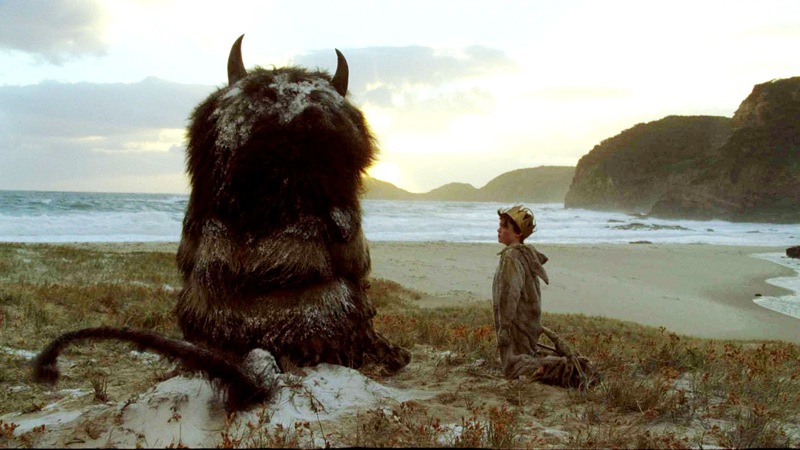 OK, so I cheated a little bit in that Where The Wild Things Are isn't totally animated, but given that the namesake key characters of the Wild Things themselves basically are an incredibly well blended mix of puppetry, live action and animation I wanted to include it anyway. Far from the stereotypical winter wonderland we often see in animated winter films, Where The Wild Things Are gives us more of a cold and barren winter landscape upon which to play. Again, this is a fantasy landscape and yet is so quickly recognisable as winter, especially if you happen to have experienced winter by the sea. Muted and pale, almost watercolour looking backgrounds and soft neutral colours give backdrop to the Wild Things, who themselves are reminiscent of the winter Norwegian Troll. It has its warmth in relationships and the ones we love but set against a harsh and unforgiving landscape, much like actual winter itself. Probably the most realistic portrayal of what having a dog is actually like, My Dog Tulip uses harsh, often barren and toned down background and an incredibly simple lined style to juxtapose the incredible loving bond between our two protagonists. 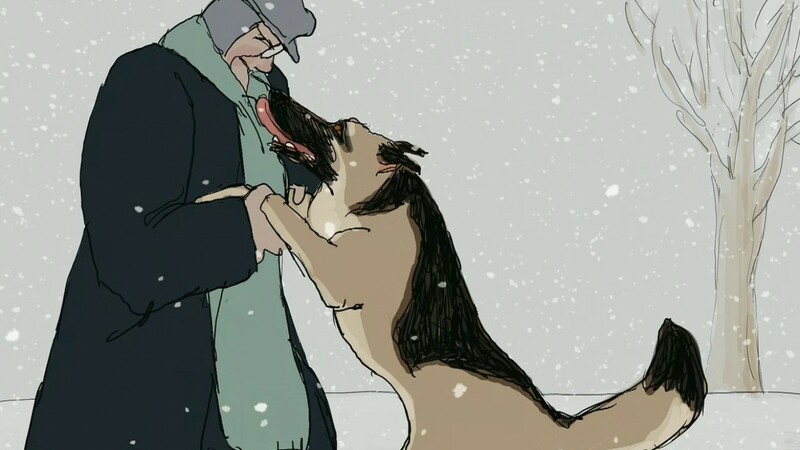 In fact, it's the cold and brutally realistic backgrounds and wintery environments that make the love between man and dog all the more palpable - even in the most desperate and desolate places love is where the story lies and carried through, what more do you need to warm yourself up during these colder months! So there we go, if you're looking for something a bit different from the usual Christmas crap pop one of these on, snuggle up under a blanket and enjoy!